The Lavon Yacht Club was established in 1981. Our members enjoy boating activities on Lake Lavon. 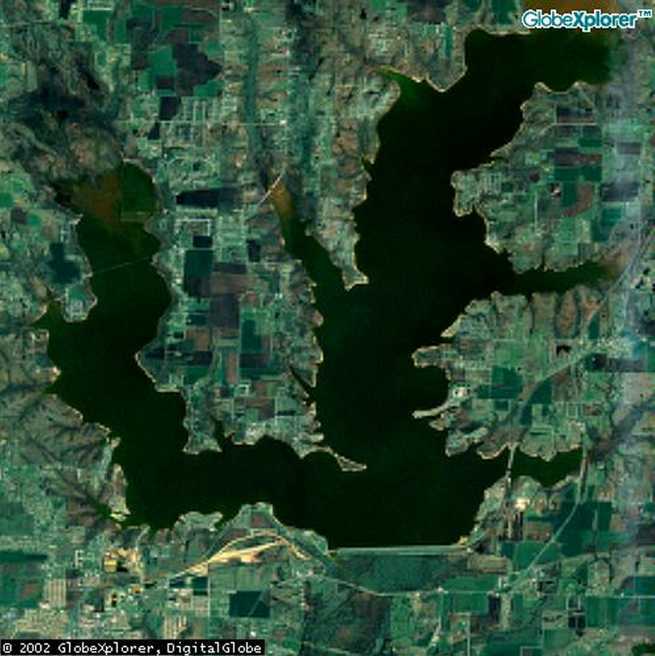 Located 22 miles NE of downtown Dallas, Lake Lavon measures 23,000 acres with nearly 15 miles of obstruction-free boating. The lake is known for it’s relaxed atmosphere and quiet, uncongested water. The Yacht Club operates out of the wonderful facilities of Collin Park Marina in the southwest corner of the lake. The Yacht Club is open for membership to anyone interested in boating. Our members enjoy social, cruising and sailboat racing activities, year round. The Lavon Yacht Club is a member of the Texas Yachting Association and US Sailing. Come to Lake Lavon and check us out! The Lavon Yacht Club is located on Lake Lavon, Texas at Collin Park Marina. This is our 20th year of operation.The official organization of our club commenced on Feb. 8, 1982 at the Holiday Inn in Richardson with close to forty people attending. This was the result of a steering committee formed in late summer 1981 of sailing enthusiasts. In fact a race, the Annual Regatta, (later to be named the Margaritaville Regatta) drawing 19 boats, had already been held in November, 1981. At the organizational meeting officers were elected and the name for the club was Lavon Sailing Club. The first newsletter went into print in May, 1982. Later that month, on Memorial Day, tornadic like winds blew the marina off its poles. The marina eventually ended up tied to trees and anchors in the far southwest corner of the cove and racing activities were cancelled for the remainder of the summer. At the end of 1982, the club had 20 members. Four racing events had occurred and several social events had been held in various members homes. In September, 1983 the members took a look at the type of activities it wanted to represent and changed its name to the Lavon Yacht Club with membership open to all those interested in boating.In 2001, the club completed initial construction of a new covered, floating pavilion, located in the marina at the end of C Dock. This was a major accomplishment, funded fully by the membership through various fund raisers and generous individual member contributions over the past five years. This covered, 20’x40′ facility provides the membership a place to meet, relax and enjoy the lake and marina atmosphere. The pavilion is available at no charge to the club membership, and beginning in 2002, available for rental to the public for parties and otherspecial occasions.The Lavon Yacht Club has had numerous events over the past 18 years. Today’s main social events are the Texas Chili Cook-off Contest, Cinco de Mayo Party, Cajun Shrimp Boil, and Jimmy Buffet Party. The main purpose its members strived for and will continue is to provide a bringingtogether of people with the common interest of boating. Faces will come and go over the coming years of the Lavon Yacht Club. Boating and social events will change but the spirit of friendship offered by the members of this club will last forever. To visit the Lake take US 75 (Central Expressway) to Plano, TX. Exit at Parker Road and head East for 11 miles until you reach the end of Parker Road. Turn right, then immediately left at the bar-b-que (good stuff by the way). Continue for about one more mile. Look for the Collin Park Marina sign near the St. Paul “City Hall”. Is your club open to power boaters? Is this just a sail boat club? what are the dues and fees for a new member?